It was only supposed to last for 60 issues. 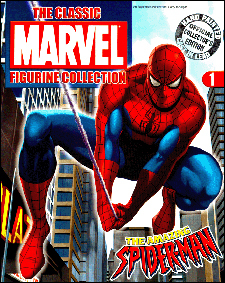 The Classic Marvel Figurine Collection was a labour of love for everyone involved, including the designers – Dan Rachel and Gary Gilbert (both ex Marvel UK) who spent hours making sure old comicbook imagery looks as clean and colourful as possible. The development period lasted over 6 months as we tried different design styles and figurine poses. It worked better than any of us expected, winning a Diamond Gem Award in 2008 and still going strong!